The Women in Action (WIA) team spent time with the young ladies at Emdeni Secondary in Soweto, in celebration of Women’s Month. Women in Action is an Employee Resource Group (ERG) that provides an inclusive environment for women, enabling them to network, grow and thrive in order to achieve their career goals. 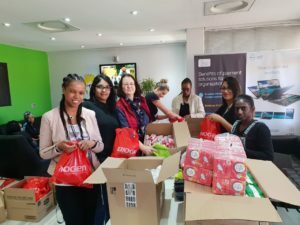 Their mission is to build an inclusive community that provides development, leadership and networking opportunities designed to empower, retain and attract women. With dancers from Soweto’s Finest starting off the show, the day was all about fun, motivating the girls and sharing life skills with them. 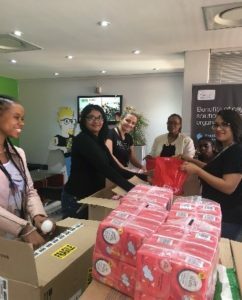 Each leaner received a hygiene pack and a 6 months’ supply of sanitary towels from the WIA team. This initiative started with the Dell Tech Support team hosting a sanitary towel drive in 2017, and along with the proceeds of the Potjiekos competition held, the team were able to increase their giving significantly.